Claude Julien said something interesting before the Boston Bruins’ Saturday matinee against the Carolina Hurricanes. He was talking about the Bruins’ two-game losing streak where they were outscored 12-2 against the Toronto Maple Leafs and Montreal Canadiens in back-to-back contests in Canada. The losses came after five straight wins in the six games the Bruins played without Zdeno Chara which actually prompted fans and media alike to consider if it was beneficial for the Bruins to trade their captain. Seriously. Of course, when those five wins come against Buffalo, Ottawa, Florida, Edmonton, and New Jersey – teams with a combined record of 30-37-15 and a winning percentage of .366, as of Saturday – the sample size is going to be skewed. These are games that the Bruins should be winning, even without Chara. The problem was deciphering which Bruins’ team, the one who won five straight against mediocre-to-poor teams or the one that was outscored 12-2 against division rivals, was the real squad. But back to Julien’s quote. The Bruins did get those two points back on Saturday though, with a 2-1 win over the Carolina Hurricanes which should quell some fears of the sky falling at least for the moment. Though it’s hard to tell if the Bruins bounced back, especially by beating a team that’s now 5-8-3 overall and has a putrid 1-6-2 record while playing on the road. It’s the same as before. The Hurricanes are a team that the Bruins should have beaten. And at times on Saturday, the Hurricanes were a better team but unluckier than the Bruins. Consider this: the Hurricanes attempted 55 shots with 34 of them landing on net. The Bruins allowed 16 shots in the first, and 15 in the third. Boston’s best possession period was the second, where they only allowed the Hurricanes to fire off eight attempts with three shots on net. This included some near-misses on Carolina’s power play as well as plenty of whiffs on quality scoring chances dating back to the first period. Carolina brought it on Saturday, they just couldn’t finish. It doesn’t help that the Hurricanes’ shots that did land on net were handled with precision by Tuukka Rask, who played on his best games of the year. What would have happened if Rask had an off night like he did on Wednesday against Toronto? The sky would still be falling. The reason why it has been so frustrating to watch the Bruins this season is because you can’t be sure which team is going to show up. Without Chara, the Bruins have experienced some success, though it has been against teams that haven’t been particularly challenging. When tested, like they were against the Maple Leafs and Canadiens on the road, the Bruins failed miserably. A win against the Hurricanes isn’t a bounce back win at all. It’s a game they’re expected to win. And they did. But that “easy schedule” that the Bruins faced with Chara being out is over. Next up are the St. Louis Blues at home on Tuesday, the Blue Jackets in Columbus on Friday, and on the next night? The Canadiens in Boston. Go even further down the calendar and next up is a streaking Penguins team at the TD Garden on Monday. These teams have a 39-21-4 record and a .609 winning percentage, and that includes the Blue Jackets’ 5-10-1 record. It’ll be the toughest stretch of the season so far. Forget about how the Bruins handled adversity when Chara went down almost a month ago. These upcoming four games will tell you a lot about the Bruins. 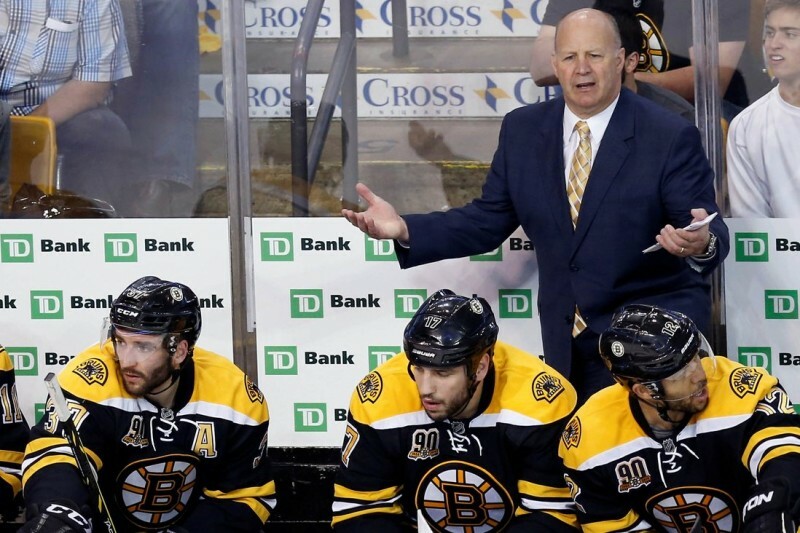 After Saturday’s game, Julien said the Bruins’ effort was “better” but not yet where it should be. He was right, and the general theme amongst the players in the Bruins locker room had a similar sentiment. The Hurricanes controlled the pace for portions of the game while the Bruins were bailed out by Rask. 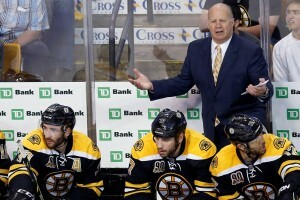 The Bruins know that against a better team, they might not be so lucky. Now that they’ll be tested next week against quality teams, it may be then where you get a better idea as to the identity of the Bruins. Injuries to Chara and David Krejci aside, for as long as we don’t know which team will show up on any given night, there’s reason to worry about the Bruins. Follow Mike on Twitter for more news, updates, and commentary.